Isabel was born 16 July 1878 (birth certificate number unknown) in Helensville in the southern Kaipara region. Isabel Stanaway – Stanaway Family Collection. We suspect that her childhood was much the same as other children at that time growing up in the Kaipara area. The first records we have of Isobel is from the 1900, 1905 and 1911 Electrol Rolls where she is listed as living in Helensville – domestic duties. 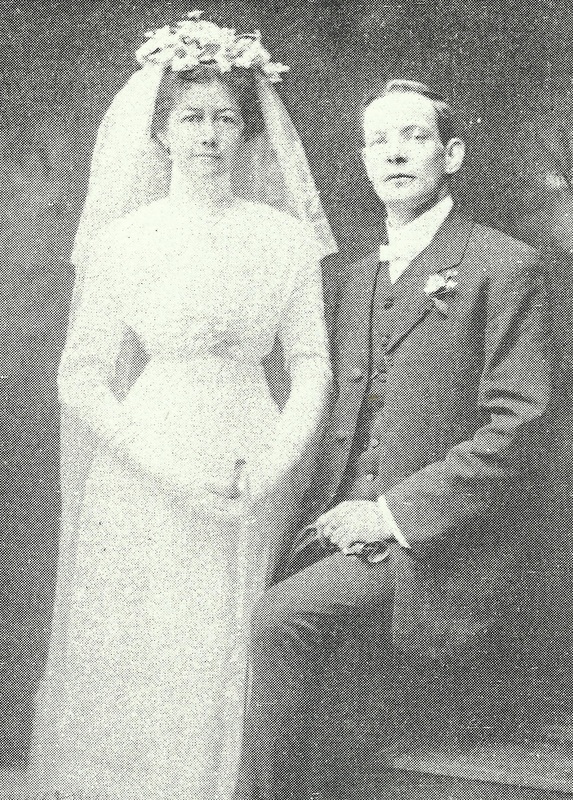 Then on 6 November 1912 Isabel marries Wilfred Allen (Marriage Certificate number 1912/5507). 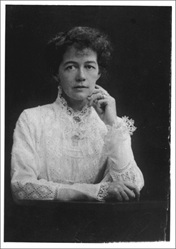 Wilfred was born 22 October 1882 in Glemsford Suffok, England, to Alfred (1836-1900) and Catherine Allen (1846-1941). It seams that he made his own passage to New Zealand as both his parents died in England. Isobel and Wilfred were active with the local Helensville Tennis club with Isobel being on the Ladies Committe and Wilfred being the Treasurer. Kaipara and Waitemata Echo 2 October 1914. In 1915 Wilfred was made Secretary of the Helensville Tennis Club. Isabel and Wilfred Allen – Tides of Time. On 6 October 1917 Isabel and Wilfred have a son Ailwyn Wilfred (1917-1953). 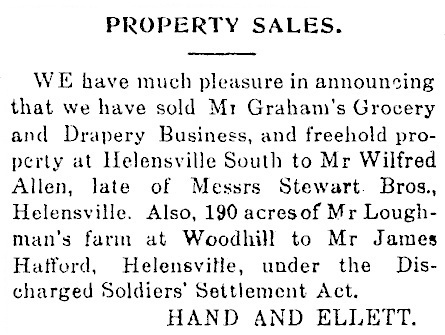 In 1919 Wilfred purchases Mr Graham’s Grocery and Drapery Business, and freehold property – he has left Messers Stewart Bros. store to start his own. Notice of purchase – Kaipara and Echo 25 September 1919. 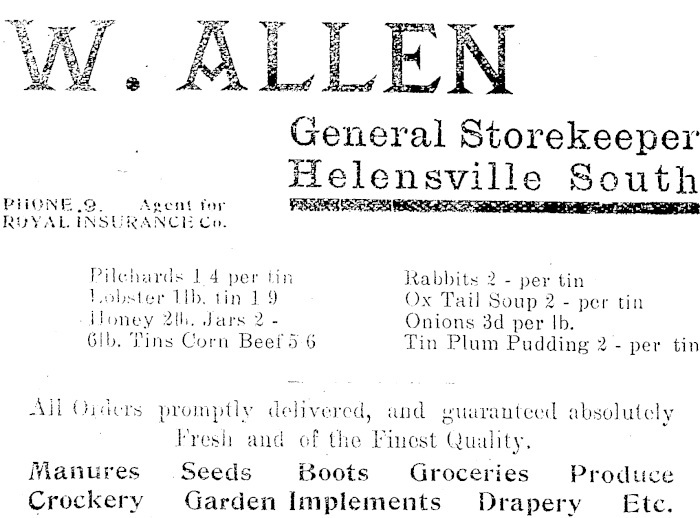 Advert for the store – Kaipara and Waitamata Echo 18 March 1920. Unfortunately this store and the home and tennis courts are now gone – it has been replaced by (at the time of this being written) a RD1 store! The Electrol rolls from 1914 until 1928 have Isabel living on Eighth Avenue, Helensville. On 17 August 1934 Isabel passes away aged only 56 (Death Certificate Number 1934/14288), she is buried in the Helensville Cemetery, Block E3 Lot 78. Isabel’s death notice – New Zealand Herald 18 August 1934. Her husband Wilfred, goes on to remarry, this time to Norah Patricia Stanaway on 8 February 1936, in Helensville. 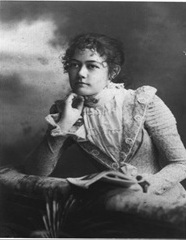 (This is the daughter of Joseph Patrick and Ethel Flora Stanaway). Wilfred and Norah have five children – Bernal 1937, Creina 1940, Brian David 1943, Michael 1944, Noni 1955. 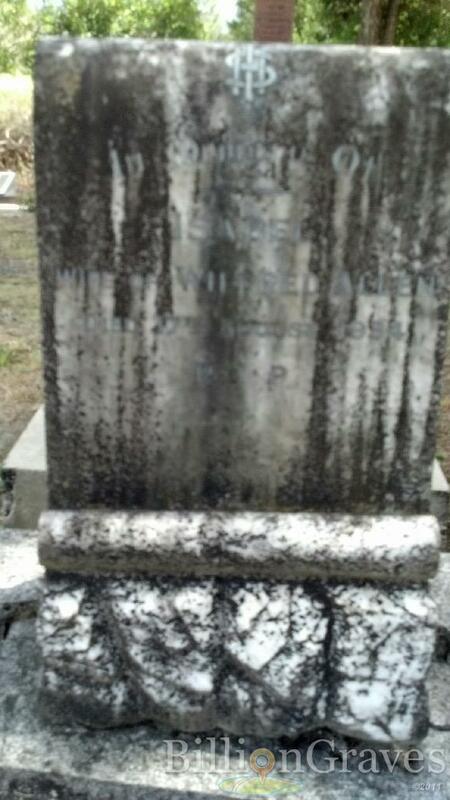 Wilfred passes away on 6 April 1978 aged 95 and is buried in the Helensville Cemetery Block E3 Lot 7.